The Rebuilt Machine started with a few dudes, a few acoustic guitars, and a laptop in a college dorm. Some of the tracks off of their self-released album palpitate with noisy, emotional angst—music you’d definitely dance to in the sweatiest of mosh pits—while other songs sincerely address the confusion that comes with the human condition. 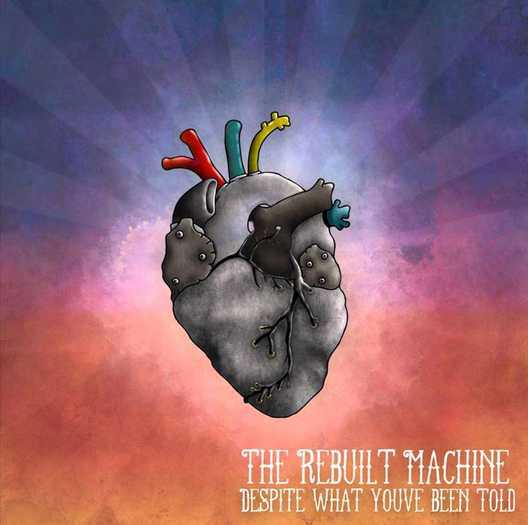 The Rebuilt Machine’s ” What You’ve Been Told ” album cover. Immediately, the album cranks down 12 notches with the second track, ‘Drama Queen,’ which starts with a slow melodic vibe. ‘Deception Looks Good On You’ screams at all the right moments, and ‘It’s About Damn Time,’ a slow ballad that is blooming with soft, gentle keyboard strokes, leaves you feeling like you have two options: reflect or cry. The album follows a stream of consciousness that is relatable to pretty much anyone who has experienced love, loss and, ultimately, the raw and ugly part of life. You never wake up every morning feeling the same way, so why should an album cover up all the pretty, or for that matter, the ugly parts? With the help of producers that were both friends and motivators, and the insane work ethic of The Rebuilt Machine, “Despite What You’ve Been Told” was born. After becoming one of the winners of Ernie Ball Battle of the Bands, The Rebuilt Machine was able to perform at the VANS Warped Tour in VA Beach, which was “surreal, exciting, and hot,” according to vocalist Josh Miller. Be on the look-out for The Rebuilt Machine’s acoustic record that explores their roots. But, if you can’t wait until then, their current album is now available on iTunes. Click here to view their iTunes page. Ahead, we talk to lead singer Joshua Miller about the future of The Rebuilt Machine, songwriting and self-discovery. MO: 10 years ago did you think you would be where you are now with your band; did you even think you would be in a band? Miller: As far back as I can remember, I’ve [always] written and played music. Ten years ago, I wanted nothing more than to travel the country singing my crappy songs for a living. I guess I always assumed I would end up in a band. But I’m honored and humbled by what we’ve accomplished in a relatively short time. The best part, for me, is that I know more awesome stuff is on the horizon. MO: After releasing the album “Despite What You’ve Been Told” just a few months ago, what has been the biggest reward of all The Rebuilt Machine’s hard work? This may sound cliche, but the fact that people are downloading the album and listening to our tunes is our biggest reward. Miller: We played a show not too long ago with Our Last Night, and there were tons of kids there who we’d never met before. All throughout our set, people were screaming along to the lyrics. I kept thinking, ‘who are these people and how the heck do they know the words to our songs…?’ Sometimes I feel like our songs aren’t good enough to learn, or our music isn’t catchy enough to stick in peoples’ heads. But being proven wrong about that at our shows is always a great feeling. MO: Lyrically, do all the songs pertain to your life specifically? Do you draw inspiration from other members of the band or anything else? Miller: Frank Sinatra once said that the lyrics always come first. I think that’s true in the sense that we, as a band, have things we want to say and spend a good deal of time getting them down on paper, even before some of the music is worked out. Our lyrics focus on a few key principals that we find to be true, time and time again. First, pain is inevitable but it is not necessarily a bad thing; second, we all have the strength inside ourselves to overcome any obstacle; and third, life is all about connection. Why does the song Tres Ojos mean so much to the band? Miller: I wrote Tres Ojos in the middle of the night after too much gin. I was in a bad place in my life. It started as a confession, but turned into something else. It means a lot to us because it represents a specific period of time full of suffering and self-discovery. It’s a song that I’ll hopefully still be playing when I’m old and wrinkly. Miller: Ah, yes – acoustic record. This band started as a bunch of acoustic songs recorded on my laptop in college. We want to explore those roots a little more. I’ll take this opportunity to announce that we’re scheduled to work with some incredible people on this record – Ace Enders (from The Early November) and Austin Bello (from Forever The Sickest Kids). With their help and collaboration, we think this record will be something very intimate and special. We plan to release it around Christmas of this year. MO: Three words that describe making it to that Warp Tour stage in VA Beach? Miller: Surreal, exciting, and HOT. We played our first set in the Acoustic Basement around 11:30 a.m., and we were already dripping with sweat. Then we played the full set at 1:30 p.m., right during the hottest part of the day. We all thought we were going to pass out on the stage! MO: What does your music accidentally represent? Have you ever had someone come to you and say that a song meant completely something different than what you may have originally wanted to convey? Miller: We actually had someone e-mail us not too long ago asking about our lyrics. She was trying to figure out what we were saying during the last phrase of a chorus, and typed out what she thought were the lyrics to the whole thing. They were completely and totally off! But I think that’s the beautiful part – there are plenty of songs that I love and listen to all the time, but I change the words when I sing along. 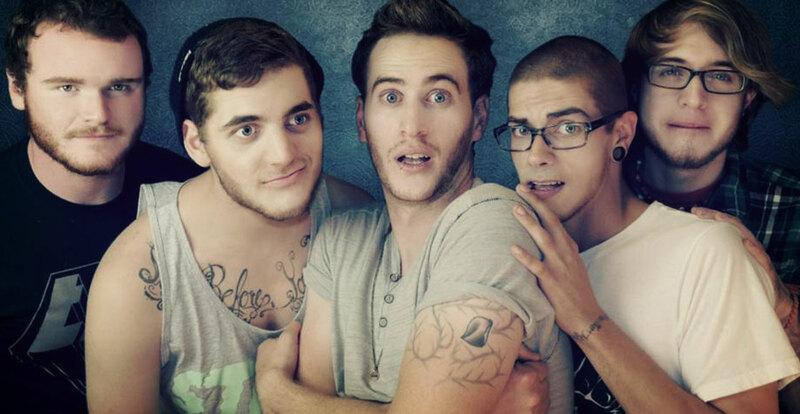 MO: A group or artist that you or one of your bandmates totally dig that might be a little or really embarrassing? Miller: I remember all of us driving back in the middle of the night from a show in New York, blasting John Mayer and singing along together in the van. There’s no better way for a bunch of dudes to bond than singing, “Your Body Is a Wonderland” to each other while speeding down the interstate. MO: I heard you guys got an opportunity to work with some pretty cool producers for “Despite what you’ve been told,” tell me about that. Miller: We’re very lucky to have worked [with] some amazing and talented producers on the last record. Working with Matt Dalton (I See Stars, DRUGS, Chiodos) and Paul Leavitt (Senses Fail, The Dangerous Summer, All Time Low) was, in a word, awesome. Not only are both of them great dudes to hang out with, but they were able to push us further than we could have ever pushed ourselves. MO: Do you think going through all those different members to create what is now The Rebuilt Machine has made you guys that much closer? What do you do all together when you aren’t playing music? Miller: We enjoy the simple things – watching stupid movies, tossing back a few beers around a bonfire, or grilling hamburgers in somebody’s backyard. Again, I hate to be cliche – but we really do consider ourselves to be a family. When we’re on tour spending every moment together crammed into a van, we sometimes want to kill each other. And when we’re taking time off to focus on our personal lives, we all miss one another. Some of us have been friends longer than the newer members, but the determination and common goals we share keep our bond strong. I think that we appreciate each other because, based on collective experience, we know just how ugly band conflicts can get sometimes. 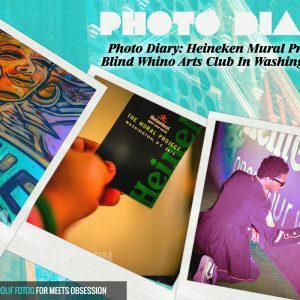 Photo Diary: Heineken Mural Project at Blind Whino Arts Club In Washington, D.C.